I am pleased to announce that my new book “Essential Colour Management: What every photographer needs to know” has launched and is available on Amazon (Link to amazon.com and amazon.co.uk) for $3.99 and £2.49. Other countries are similarly priced in their relevant Amazon stores. I don’t know of any photographer who has not suffered from colour management problems and I am fre3quently contacted by some of those suffering. This is a disjointed and complex area of photography that many people struggle to understand and gain control over. I know what this feels like as it took me more than a few years of testing and research to understand everything I needed to know. 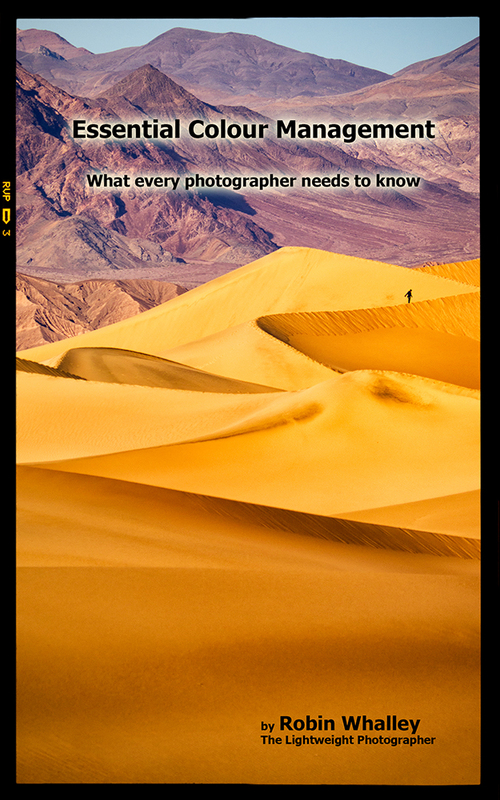 This new book condenses this subject into the essentials you need as a photographer. It provides the key information in an understandable format. If you are a registered member of my Lenscraft Website (membership is free) you will shortly be receiving notification of the $0.99/£0.99 sale dates. Robin, do you cover recent iMacs in this book? I have a late 2012 model running Mountain Lion and am having the devil’s own job getting this calibrated with the X-Rite hardware. Alison, the book is operating systems independent so probably wouldn’t help you. Can you email me some more details to robin@lenscraft.co.UK and I will see if I can help you. I have purchased a copy and recommended your site and publications to the Colchester Photo Soc.